I have travelled around many different countries in all sorts of vehicles including New Zealand in a Motorhome but last summer I decided to do things a little different, in a Mini Bus in the UK. The reason for this trip around the UK is because I had my Colombian family visiting for 10 days and with such limited time we had to go from one location to another without having the time to stay too long in one place. The trip could have been easier if we travelled by train but with Peak time tickets costing almost triple the normal cost, this was not feasible. With this, there was 6 of us traveling and therefore we needed something bigger than a car and hence this is the reason how we ended up travelling around the UK in a minibus. I ended up purchasing the right vehicle after being recommended a minibus sales company by a friend. David Fishwick is officially the largest minibus retailer in the UK and appeared on channel 4 recently on the program ‘Bank on Dave’. 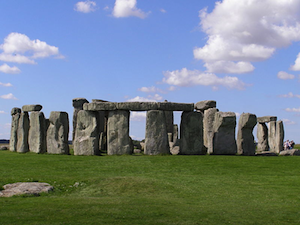 The first stop was London as this was the arrival city of the family arrived but rather than show them all around the capital first I decided that we should first travel to Stonehenge to see the stones that are famous throughout the world. The next stop was north up the motorway to Manchester to meet my family, see the famous Old Trafford stadium and visit the city centre. I planned the trip to Manchester to coincide with a football match which we went to see and everybody enjoyed (Manchester United vs West Ham). The next day we travelled to Liverpool as being only 30minutes drive from Manchester and being home to all things that the The Beatles the family also enjoyed their time here. Liverpool has changed a lot recently and you can see the reinvestment in the city center and Albert Docks which make the city now visually pleasing. Day 3 involved us travelling further North to the city of Edinburgh, now this is a place I never get bored of visiting, not only is the Scottish hospitality second to none, the city is also beautiful. 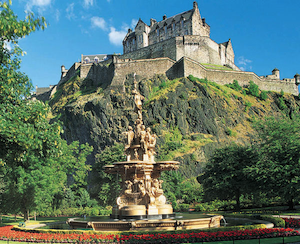 The castle in background and the high hills surrounding the city make it a fantastic place to visit. My Colombian family really enjoyed the city and learning about everything Scottish, down to the Whiskey, local history and even the Tartan skirts the males wear. Whilst we only stayed in Scotland for less than 36 hours, Edinburgh was definitely one of the highlights of the trip for everyone. From one castle to another, the next stop was York, one of the most beautiful cities in the UK and one which I had to show to the Colombians whom had previously explained that they wanted to see a stereotypical English town; York is just that. The final stop on our trip was to our capital city London, this place has so many things to do and see that we needed 2 days complete the ‘basics’ including the Tower of London, Houses of Parliament, Buckingham Palace, etc. London city truly is one of the best cities in the world and 2 days was definitely not enough but after traveling from London to Stone Henge all the way up to Edinburgh and back down again in 7 days the family truly were shattered and had to have a days rest. A whirl-wind trip around the UK in 7 days in a minibus, I don’t think I will be doing that anytime soon.